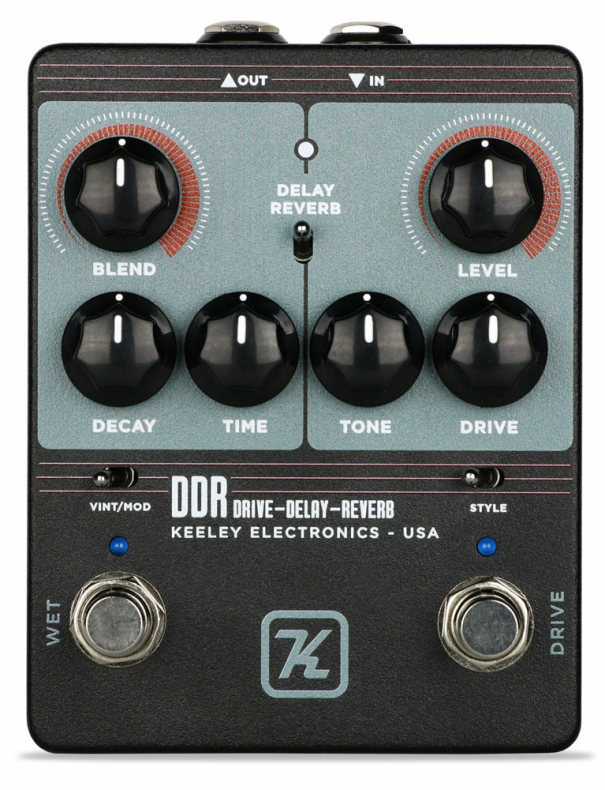 The DDR combines the most common guitar effects–DRIVE and WET–into one pedal. 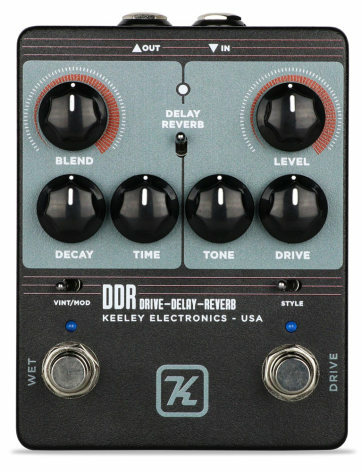 Choose between two classic overdrives and then pour on some delay or reverb. One pedal, any gig. The DRIVE section gives you two styles of overdrive to choose from: Crunch or Lead. The Crunch Style gives you a gritty British tube-amp combo sound. The Lead Style gives you a warm and dark, mid-pushed overdrive. The WET section gives you modern or vintage voiced Delays and Reverbs. 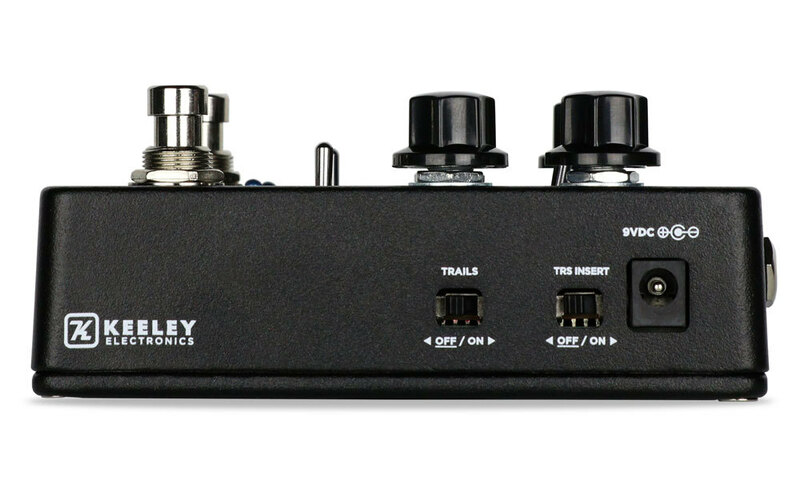 A Vintage/Modern Switch allows you to toggle between Spring or Plate reverb and Analog or Digital delay. Use the built-in effects loop to insert effects between Drive and Wet, or run it by itself as the only pedal you’ll need! DRIVE Channel – A pair of modified super-drives to chose from. Volume, Tone, and Drive for days!